Crush marmalade and Brockmans in a cocktail shaker with a bar spoon. Add lemon juice, blackberry or blueberry syrup and triple sec. Shake with ice and double strain into a chilled coupe glass and top with an orange twist. Brockfast, not breakfast. An important difference. 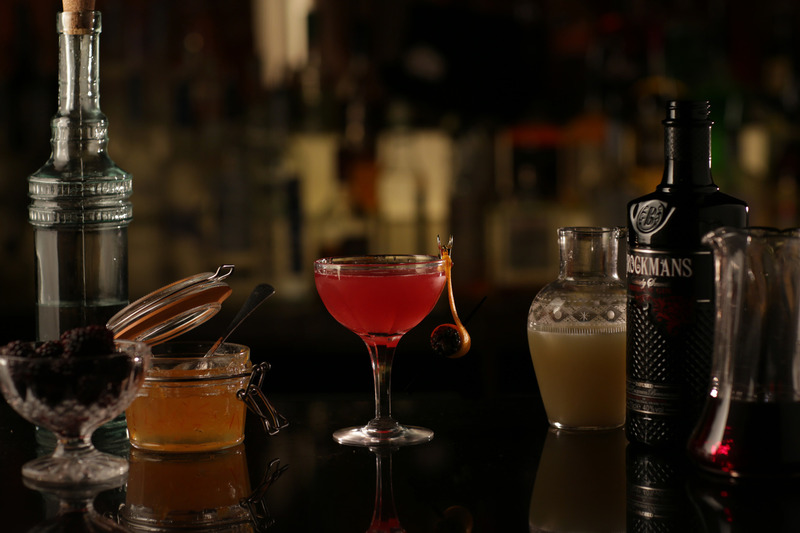 Add the marmalade and Brockmans into a cocktail shaker. Crush together with bar spoon. Add the rest of the ingredients and shake with ice.